Could this be the best Christmas present ever? It would certainly come a close second to the Action Man I got when I was nine. 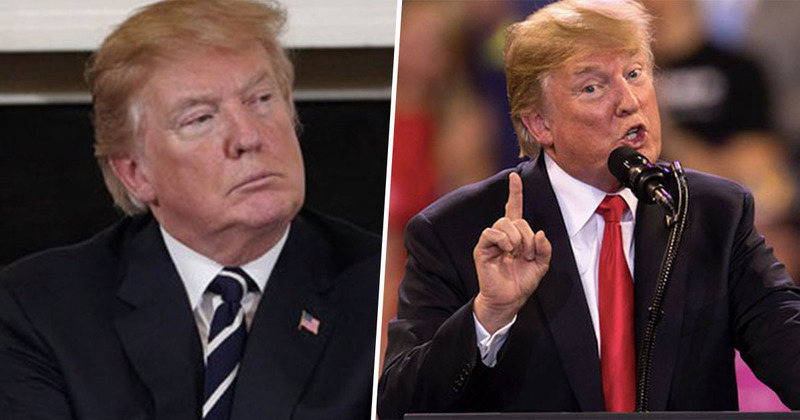 A leading political commentator has said Donald Trump could resign from his current position as president of the United States in order to avoid a potential prosecution. The New York State Department of Taxation and Finance has opened an investigation into the Donald J. Trump Foundation, and whether it’s violated any tax laws. In another lawsuit brought forward by New York Attorney General, Barbara D. Underwood, earlier this year, the foundation was accused of self-dealing, illegally coordinating with his 2016 presidential campaign, and violating campaign finance laws in order to fund Trump’s bid for president. It’s thought both of these investigations are likely to cover many of the same charges against the foundation. Furthermore, if either investigation finds evidence of criminal activity, it could be presented to a grand jury or law enforcement agency, which could lead to a criminal referral or indictment, the Independent reports. However, it’s not only the president the charges will be levied against. The foundation also lists Ivanka Trump, Eric Trump and Donald Trump Jr. as respondents. Improper and extensive political activity, repeated and wilful self-dealing transactions, and failure to follow basic fiduciary obligations or to implement even elementary corporate formalities required by law. Because of this, some people are now suggesting president Trump could strike a deal with investigators which would see him and his family acquitted of any wrongdoing, potentially by giving up the presidency. MSNBC host Chris Matthews suggested, in order to not only clear the president but also his family, Trump could strike a deal with the prosecutor in order to avoid any criminal charges. But what if the prosecutor were to offer the president an alternative. What if he were to say he would let the children walk if the old man does the same? That would mean giving up the presidency in exchange for acquittals all around ― not just for himself, but for all his kids. Matthews was basing his argument on the example of vice president Spiro Agnew, who quit his position in 1973 after striking a deal with prosecutors when he was found to be liable for tax evasion. Leverage the office while you still have it. So let’s watch the probable events of the coming weeks bring all this to a breaking point. It is going to be historic. Trump has always denied any wrongdoing in his presidential campaign, frequently branding the investigations a ‘witch hunt’, as well as distancing himself from those in his party found to be guilty. Trump’s ex-lawyer Michael Cohen, for example, was sentenced to three years in prison for a number of crimes, including tax fraud, bank fraud, and lying to Congress. He was also found guilty of campaign finance violations, which involved paying off two adult entertainment stars who were alleged to have had affairs with Trump. Cohen claimed these payments were made under instructions from the president.